Get Complimentary Shipping On Father’s Day Gifts Section At Dayspring! 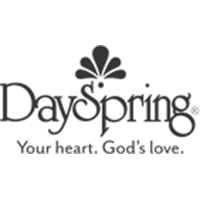 ● Dayspring offers free shipping on orders $50 and over, though only for shipments delivered within the US. This deal only applies to US Parcel Post or FedEx ground shipments. ● Visit the Sale & Clearance page to take advantage of specially-priced products and bundles. You can save as much as $200 on selected offers. ● Sign up for the newsletter and get 15% off your next purchase in addition to alerts on sales and promos. ● Dayspring offers free e-cards and screensavers for personal use. ● Returns are accepted within the first 45 days of purchase. Returns will be subjected to 25% restocking fee if returned after 30 days. Dayspring offers “Christian” cards and other goods that are religiously themed. They offer mugs and tumblers, boxed card sets and other goods that bear religious or Christian inspired sayings, bible quotes and inspirational messages. They offer free shipping on orders over $50. Other gifts are also available like costume jewelry. There is an E card studio where you can create your own card or use one of the templates that are available. You can shop the clearance section to save on gift items and out of season items. The navigation menus are located at the top of the home page. For most up to date offers check out Dayspring on Facebook and Twitter or contact Dayspring Support for any questions.